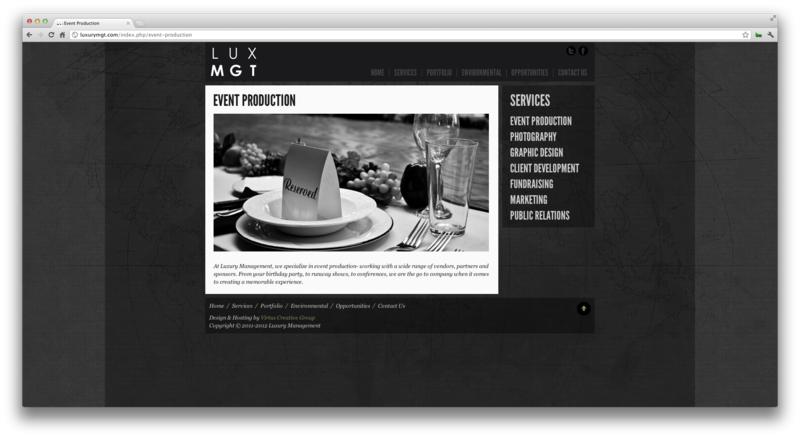 DescriptionAs a high end event planning company, Luxury Management had asked us to create a unique website that conveys their brand. 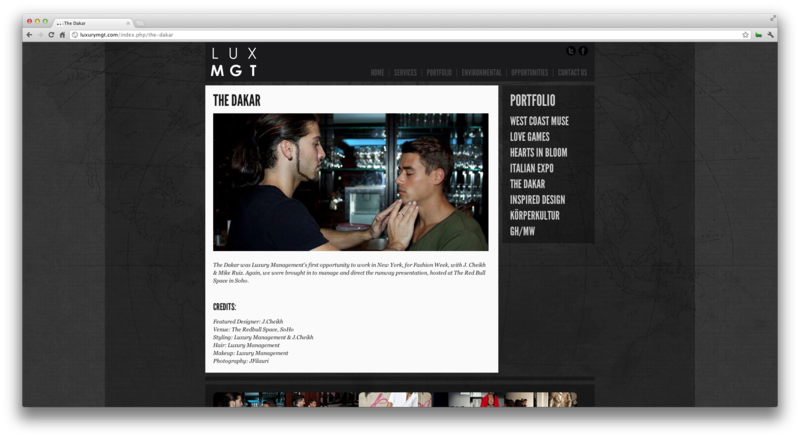 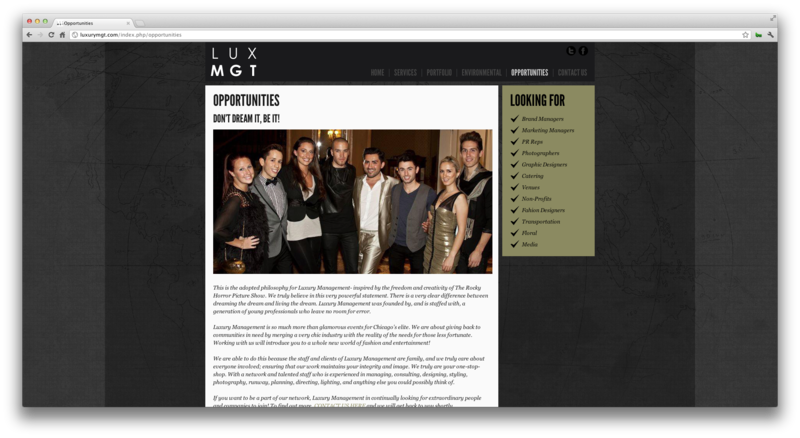 Our designers and programmers alike, turned out an amazing website that defines the word Luxury. 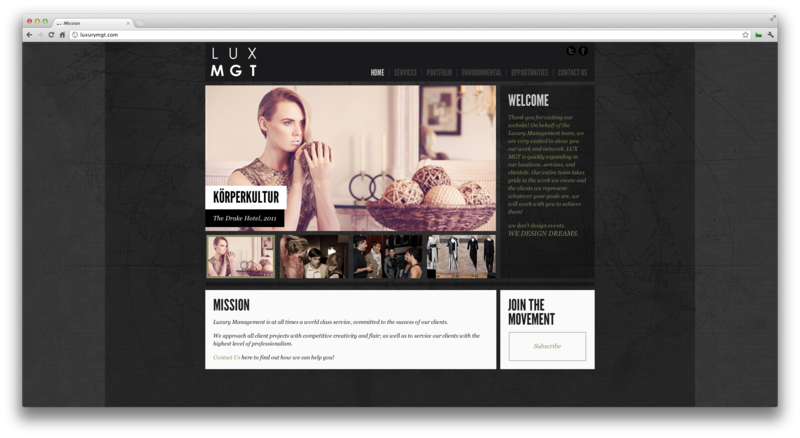 ©2017 Virtus Creative Group, Inc.